Email marketing is essential for any business. 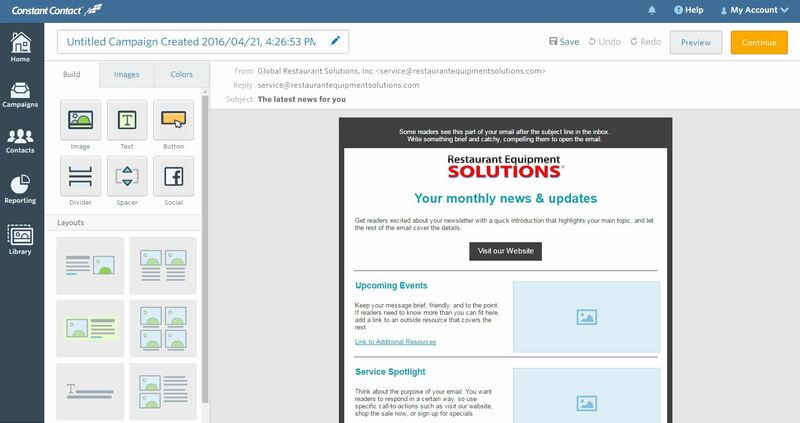 Constant Contact provides an array of marketing tools, and one of its standard products is email creation and distribution. If you want to give it a try, here are basic instructions on how to use Constant Contact. Create an account on the user sign up page and log in – this will get you to the home tab of your account. 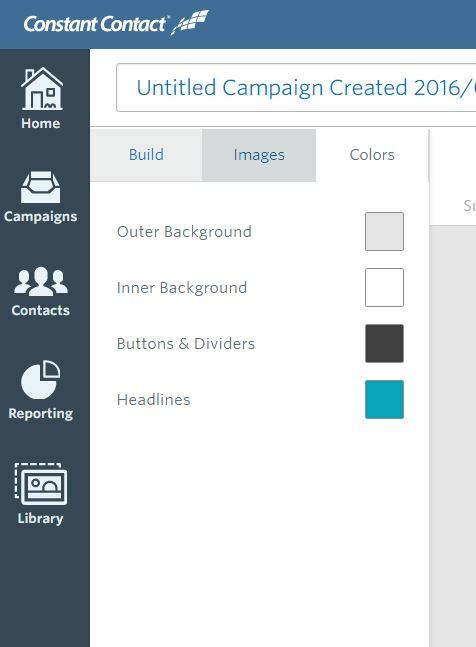 Menu tabs include Build (drag and drop elements into the template), Images (access and upload images), and Colors (customize the color scheme). If you make a mistake, don’t worry. Note the “undo” option near the top right. You can preview how your email is going to look by clicking the “preview” button on the top right. You can drag and drop “build elements” by following the guides as you move the elements. If there is an element in the template you chose that you don’t need, you can delete it by double-clicking and choosing the delete option. If there’s a particular element you want to use over and over again, you can duplicate it. Get in there and see what you like best! 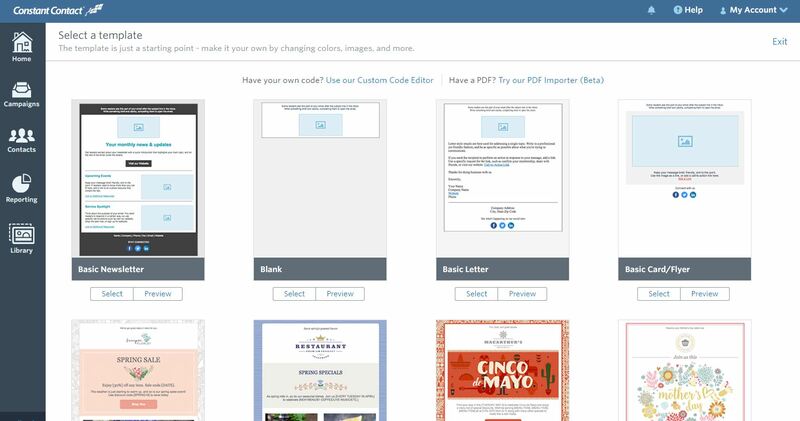 Once your layout is set, start branding the email with your company colors. Select the “colors” tab, click on the color you’d like to change, and then choose a new color from the color palette. Now that you know some of the basics, let’s look at how to upload images in Constant Contact.